Figure 3-7. 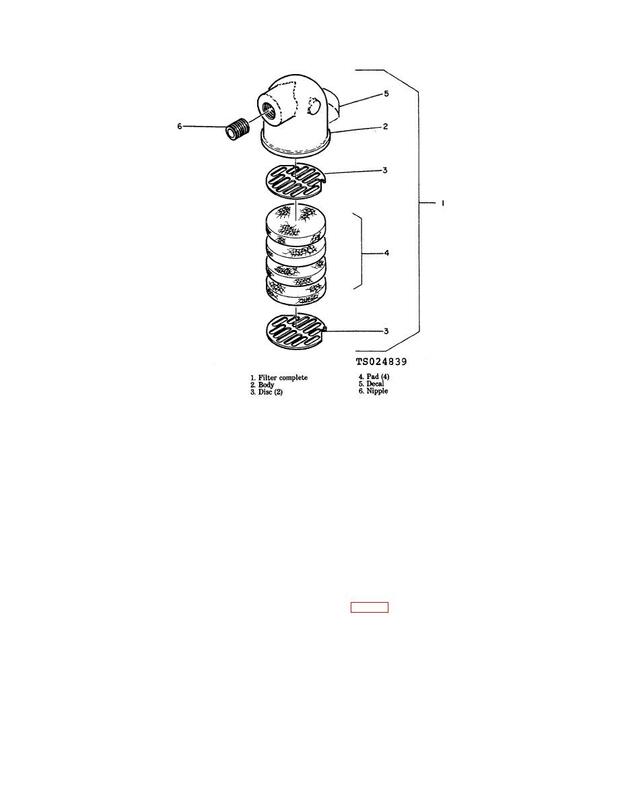 Inlet filter, exploded view. (2) Remove the remaining disc (3). mulation of dust, and leaking or spilled compressor oil. near open flame or excessive heat. (3) Wash inside of filter body (2) and wipe dry. oil spots, then dry, to avoid further accumulations. c. Draining Condensate from Air Receiver. (1) Turn ON-OFF switch to OFF. capacity to retain dust and dirt. Replace defective pads. ceiver (fig. 1-2) under the service line.